Momentum x Gadget Bot x GOMA! We are lucky to meet some wonderful people here in LA. We are proud to announce that we are working with Gadget BOT studios on a really epic film. Gadget BOT has some of the best concept artist involved in LA. You can check out the progress at www.momentumrally.com . Together with ﻿Robert Simons : Co-creator, Executive Producer, Production Designer, ﻿Peggy Chung : Co-creator, Executive Producer, Production Designer, Mark Yang : Co-creator, Executive Producer, Production Designer, we plan on making a piece that will be visually amazing and very engaging story wise as well. 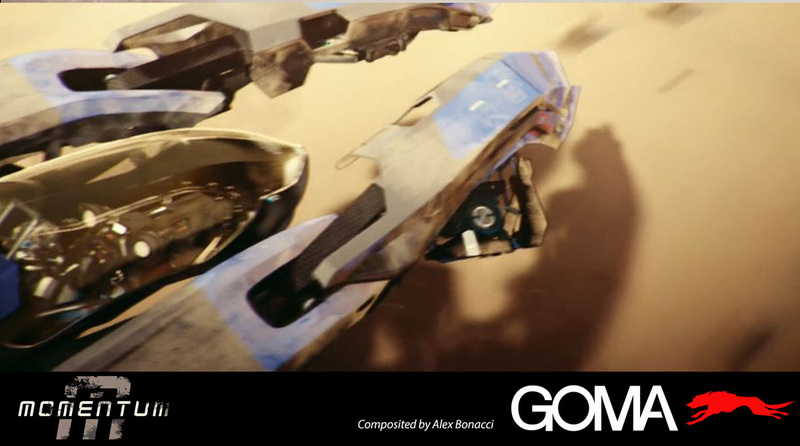 The origins of MOMENTUM started from the simple idea from Peggy Chung, to develop a hover racing film. The initial ideas were shot back and forth between her partner at Gadget-Bot, Robert Simons, on what the project could entail. Mark Yang came on as the third creator.Between the three, the world and the story were formed. Finally, Michael Chance joined MOMENTUM as director and producer to excel the characters and story for the screen, and Anna Halberg balanced the producing efforts by further developing the production team. The exciting collaboration between these five has fostered a genuine atmosphere and love for drama, science fiction and filmmaking. The fruition of MOMENTUM is made possible through the amazing passion and talent of the cast and crew. All of which have given and are still giving their best to the creation of this ambitious concept short film. Equally as important as the production team are the many supporters through Kickstarter and Facebook and continued contributions from family and friends. They have allowed the filmmakers to be able to create the vision for MOMENTUM.